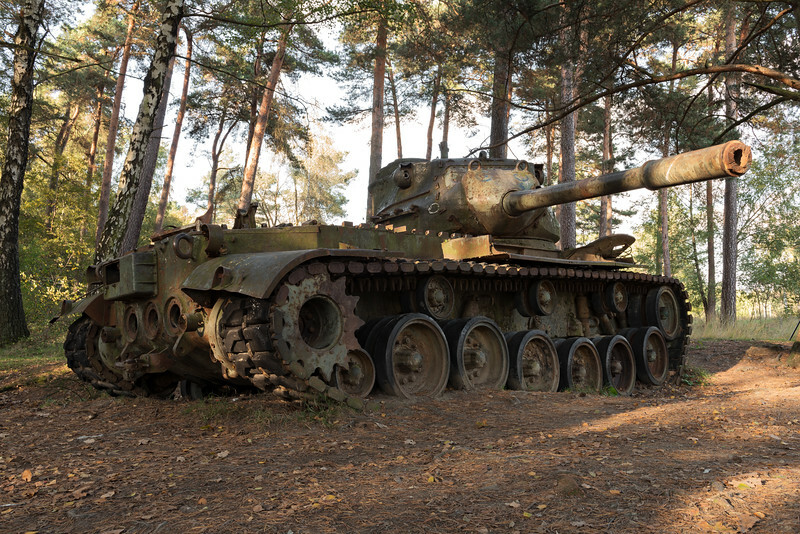 Old WW II Tanks, placed in a forest for the public. Aachen, Germany. Visited in October 2014.